Happy 4th of July!! 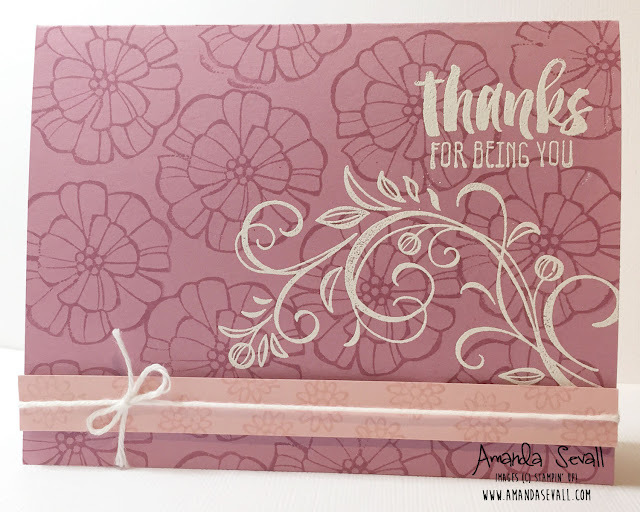 Today, I have a fun, quick thank you card to share with you. I used our new Falling Flowers stamps and Sweet Sugarplum cardstock & ink to make the background, then white embossed on top of that! And then a small scrap of Blushing Bride cardstock with some white baker's twine to finish it all off! 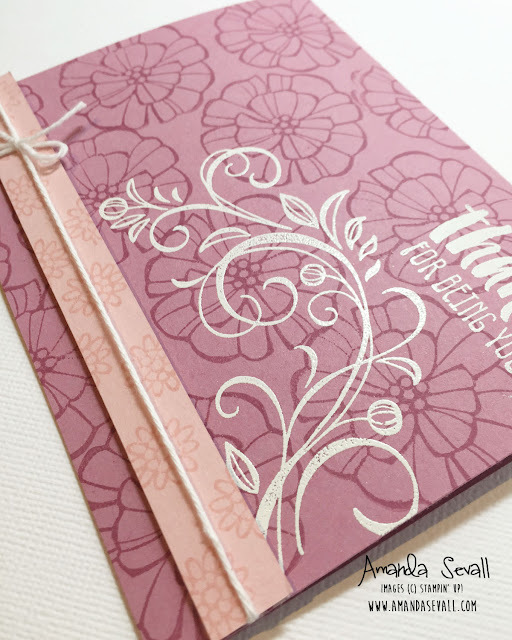 A fun design that would work well with any flower stamp set! 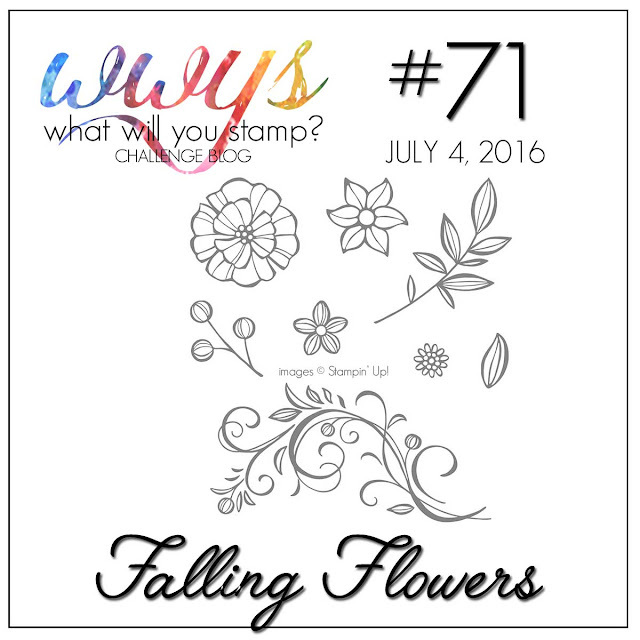 :) Make sure you go check out all the gorgeous flowers today from the rest of the What Will You Stamp? Design Team! Hope you have a happy, safe 4th of July!